One of the major urban centres in Madhya Pradesh, Indore is a beautiful city surrounded by lush greenery and is a popular tourist destination in the country. It is home to charming lakes, relaxing waterfalls, lovely gardens, majestic palaces and age-old temples. Hence, it witnesses tourists and travellers in millions every year. 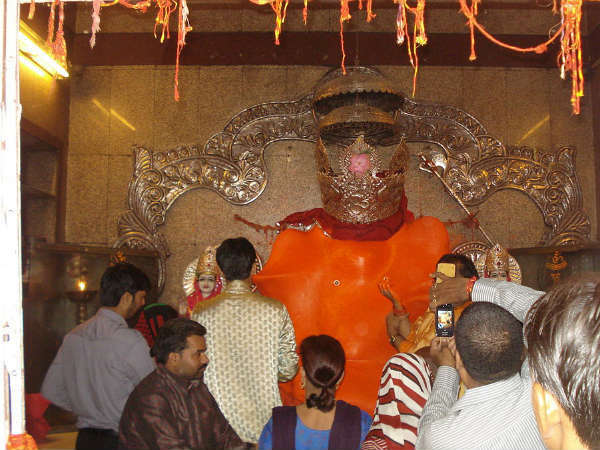 Khajrana Ganesh Temple is one amongst these frequented spots in Indore. It is known for its historical and religious significance. Therefore, it is visited by Hindu devotees as well as tourists. Believe it or not, it is one of the richest temples in the state. It has developed from an unknown temple to a pilgrimage centre over a period of time. Hence, no traveller should miss visiting it while in and around Indore. Read on to know more about Khajrana Ganesh Temple and what's so special about it. As per records, the history of Khajrana Ganesh Temple dates back to the early 18th century when the region was under the rule of the Holkar dynasty. It is said to have been established by Ahilya Bai Holkar, the then queen of the Holkar kingdom, after she found the temple statue in a well. As per local legends, it is said that the temple statue came in the dream of a local Brahmin Mangal Bhatt and he was ordered to unearth it. Soon after the Brahmin woke up, he narrated his entire dream to Ahilya Bai Holkar. Today, the temple is one of the highly revered sites amongst Hindus in Madhya Pradesh. Did you know that it is also one of the few temples which receive diamonds and other jewels as donation? Hence, it has become one of the richest temples in the state. It is believed that whoever visits Khajrana Ganesh Temple and worships Lord Ganesha with complete devotion gets all his wishes fulfilled. Therefore, every day, it is frequented by hundreds of locals and tourists who come here to offer prayers and get blessings for a prosperous and blissful life in return. Another thing which distinguishes this temple from other religious sites in the region lies in its peaceful and divine aura. Yes, within the boundaries of the temple, you can feel the essence of godliness and tranquillity. Even though the temple is dedicated to Lord Ganesha, you can find several statues of other Hindu deities including Lord Rama and Goddess Sita. Apart from exploring the interesting history of the temple, you can also indulge in savouring its beautiful surroundings. Indore is home to several lovely attractions, ranging from natural spots to historical monuments. The major places which can be visited after exploring the temple include Patalpani Waterfall, which is a perfect picnic spot, Rajwada Palace, Lal Bagh Palace and Indore Museum. If you are very much fond of wildlife, then you can also visit the beautiful Ralamandal Wildlife Sanctuary. If you are looking forward to avoiding the hot summers of Indore and exploring the history and surroundings of the temple in a pleasant and cool environment, then the best time to visit it is from November to February. However, for Hindu devotees, the temple remains a year-round destination. By Air: Indore has an airport of its own, and hence you can take a direct flight to Indore. The temple is located at a distance of about 15 km from the airport and is easily accessible. Once you have reached the airport, you can either hire a cab or use public transport to reach the temple. By Rail: Indore is well connected to all other cities and towns by rail. Therefore, you can catch a direct train to Indore railway station. The distance between the station and the temple is 5 km. By Road: Being one of the major urban centres in the state, it has a well-maintained system of roads. Hence, you can easily access the temple by road.